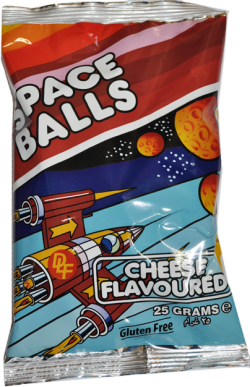 Space Balls is a corn based snack which is highly desirable. 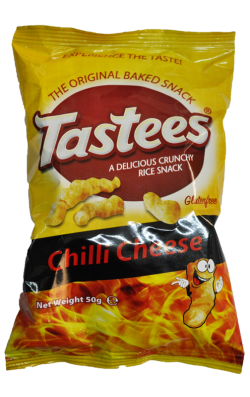 They are packed in a metallized packet and you will find that they are cheesy, crunchy and have a savoury taste. Each box contains 48 packets and each packet weights 25g. 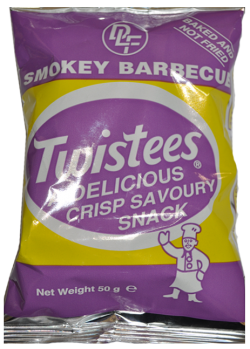 A rice based product with a combination of the original Twistees with a hot chilli flavour. 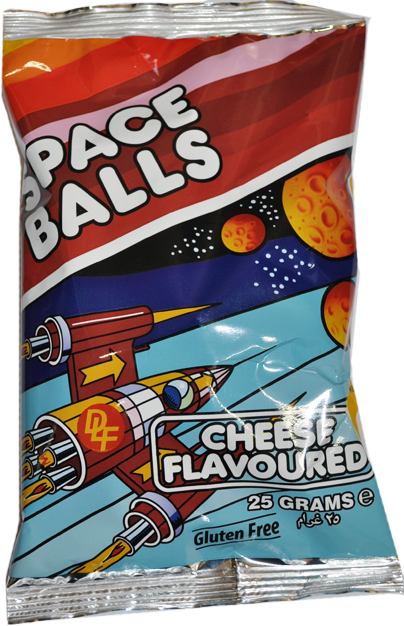 It is a cheesy, crunchy and savoury snack. This item consists of a box with 48 packets weighing 50g each.